The Cooks Encyclopedia is your complete, professional guide to shopping for and creating meals, from simple omelets to three star dishes. 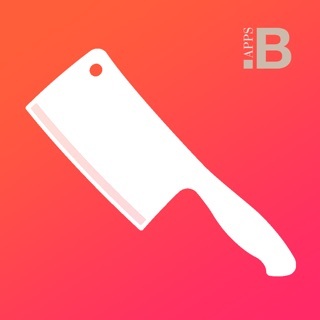 This app is packed with 350 original, mouthwatering recipes, more than 3,000 professional photos and an A-Z glossary to take you through each recipe, step-by-step. 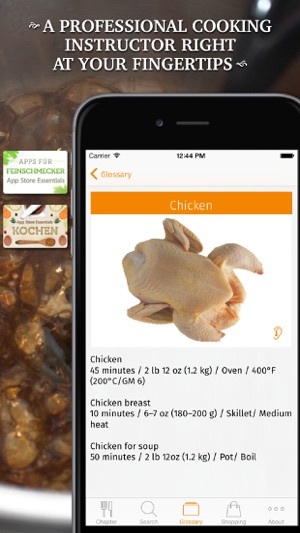 Seasoned cooks and beginners alike will love this application. Click “…More” to learn why you should download this App today! Your new in-laws, boss or family is coming over for dinner and you’re nervous. You don’t have much cooking experience but you want this evening’s meal to be special, memorable. What are you going to do? Perhaps start with a homemade asparagus soup with mint. Yes, that would be good. Follow it up with tender rack of lamb and delicious roast potatoes. Dessert could be a light and luscious vanilla soufflé. Perfect! Okay, it’s time to shop and cook. It’s alright, don’t panic. 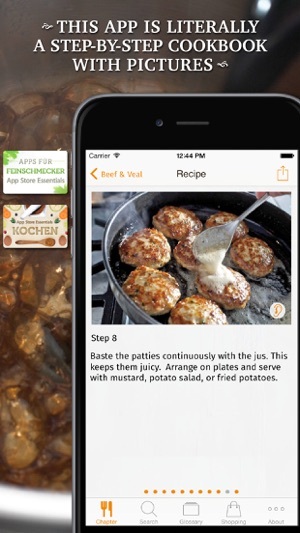 When you have The Cooks Encyclopedia on your iPhone, iPod touch or iPad, you have a professional cooking instructor right at your fingertips. Take The Cooks Encyclopedia to the grocery store. See? The list of ingredients is all right there. Oh-oh! No asparagus available? It’s fine, just do a search for zucchini or whatever other vegetable is available, to find an alternate recipe that will be just as delicious as the first one you chose. As you pick up items, just tap your screen to cross them off your list. The app makes it all so easy for you. Back at home, The Cooks Encyclopedia will guide you every step of the way. 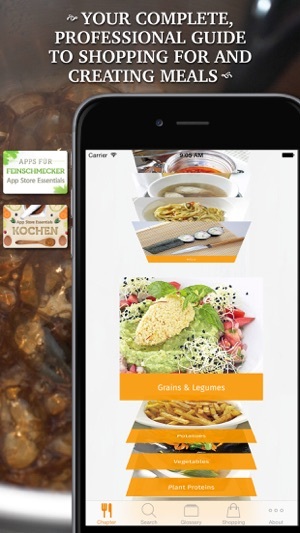 It’s a wonderful teaching tool, taking you by the hand and showing you, with more than 3,000 professionally taken photos, everything you need to do to prepare that sumptuous meal. Nothing is left out; you’ll never wonder what comes next or how to use a tool. It’s all in there, in total explanation and with visual aids and a glossary. 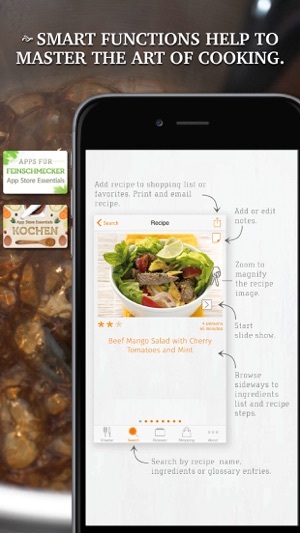 This is not another one of those apps with a bunch of rehashed recipes. You get more than 350 dishes that have been created, tested, proven and served by some of the best chefs and restaurants on the planet. 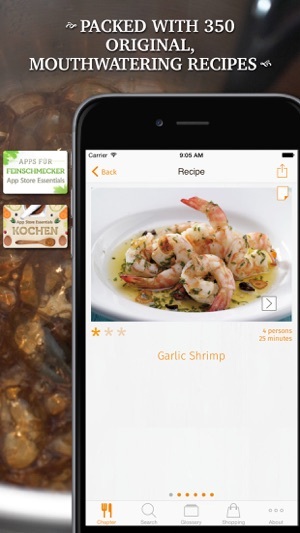 This is an 867 page cooking tutor squeezed into one app. Download The Cooks Encyclopedia now and prepare your first three star meal tonight. Every recipe we've tried have been fantastic. Lots of flavor and good step by step instructions. My only complaint is that there have been no updates with new recipes! This app is very helpful. Even involved recipes are easy to understand & illustrated with step by step photographs. Encourages to make dishes that previously may have seemed too difficult for an average home cook. 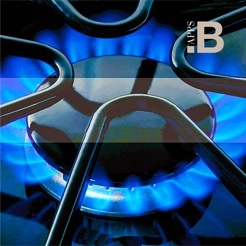 © 2010-2012 by Buenavista Studio S.L.